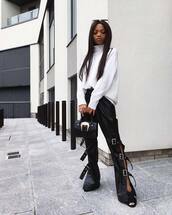 For a dope rock look that shows off both your cute and grunge side, it's time to start rocking the season essential leather pants. Denim is also a great option for pulling off that don't-care attitude and style. Keep up with the trendy fashion this year by sticking with leather pants and denim. Complement them with various fashion accessories and tops, like a solid-colored tee with an exotic print infinity scarf. 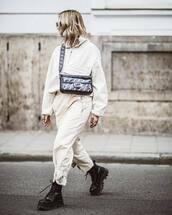 This gives you the opportunity to really strut your stuff and show off the fact that you know how to take your style to the next level. Let your personality shine through the way it's supposed to.